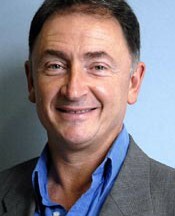 Professor Jim McDonald joined Strathclyde University in 1984. He advises government, industry and commerce on power networks, distributed generation and new/renewable energy through DECC and non-executive corporate board advisory positions in the UK and USA. He co-chairs (with the First Minister) the Energy Advisory Board in Scotland. He has co-authored over 600 journal/conference papers and 3 books. He is Chairman of the Institute for Energy and Environment, the largest power engineering and energy systems research group internationally. He was appointed Deputy Principal at Strathclyde in 2006 focussing on research enhancement and commercialisation before becoming Principal and Vice-Chancellor of the University of Strathclyde in March 2009. In August 2009 he was appointed as Chairman of the Scotland Research Partnership in Engineering (GRPE), part of a major research pooling investment across Scotland (~£100m) by Scottish Funding Council and Higher Education Institutions. He is a member of the Scottish Enterprise Board, Scottish Science Advisory Council and has recently become a member of the UK Trade and Investment Energy Excellence Board. He Chairs the Scottish Energy Technology Partnership (ETP) that involves the energy research intensive Scottish universities. The ETP is well engaged with government and industry and is developing a large portfolio of energy research programmes. Jim is a Member of the Scottish Science Advisory Committee (SSAC) – the most senior advisory body to the Scottish Government on matters concerning Science research, education and policy. The Committee meet with and report to the Minister for Education. The SSAC is Chaired by the Chief Scientific Adviser to Scotland, Professor Anne Glover. Jim was appointed as the Chairman – Scottish Energy Technology Partnership (ETP) which is the world’s largest and broadest based power and energy research consortium involving all 14 Scottish HEIs. This brings him into regular contact with First Minister, Mr Alex Salmond and Minister for Energy and Enterprise, Mr Fergus Ewing on strategic energy technology and policy development. Since 2006, Jim has been a Co-Director – Scottish Research Partnership in Engineering Exec. This requires him to coordinate with the other regional Engineering Research Pooling Directors (Chairman, Prof Anton Muscatelli) and to interact with the Scottish Funding Council CEO (now Mark Batho) and Strategy Director, Prof David Gani. Jim also acts as a Co-Director of UK DBERR (ex-DTI) Centre for Sustainable Electricity and Distributed Generation. He has held this position since 2004 and it requires strategic engagement with leading academics in partner Institutions (Imperial, Manchester and Cardiff), CEO/CTO level industrialists, senior civil servants and, on a biannual basis, with Mr Malcolm Wickes, UK Minister for Energy, addressing Govt policy for renewables and energy infrastructure development. Since 2011, Jim has been a Director of the Institute for Energy and Environment at the University of Strathclyde, cross-faculty power and energy R&D collaborative: requiring leadership of the Strathclyde power and energy R&D activities across Departments and Faculties. This has led to the realisation of the leading European (arguably global) team in this domain. Further information is available at The University of Strathclyde website. Jim has been the Chairman of Rolls-Royce University Technology Centre (UTC) since 1997 requiring coordination with the Rolls-Royce Director for Research & Technology, Dr Ric Parker and Director of Strategic Research, Dr Sam Beale. This produces an annual R&D agenda in key thematic Electrical System work-streams. Jim was appointed Chair of the Glasgow Economic Commission in October 2010 by the Glasgow Economic Partnership, Chaired by Councillor Gordon Matheson and will lead the new Glasgow Economic Leadership body as Chairman.